For the first time in Rio, Canada went through a day without a medal on Monday. Canada will hope to change that on Tuesday, or at least qualify for some semi-finals. Here’s what you need to watch today, in chronological order. This is a matchup of world #6 Cancan Ren from China and #7 Mandy Bujold, of Cobourg, Ontario. The winner of this match is guaranteed to fight for a medal. 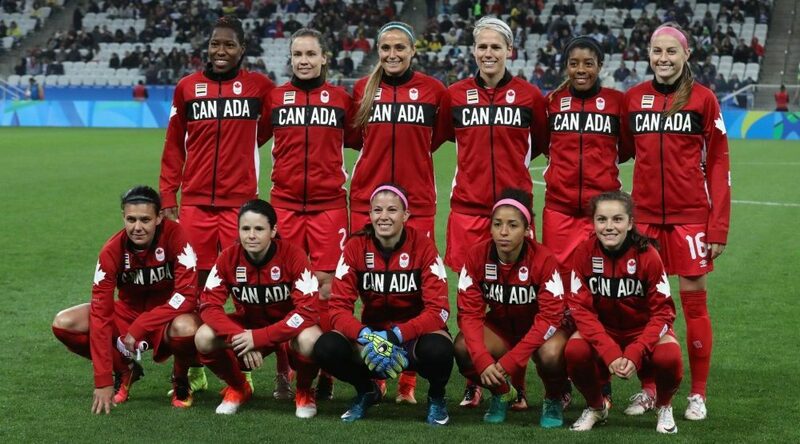 For the second straight Olympics, Canada is in the semi-final of the women’s soccer tournament. We all remember the heartbreak against the United States four years ago, and Canada will be looking for a better result this time around. Based on form, they’re as well prepared as they’v ever been. They’re 4-0 in the tournament, having knocked off #2 Germany, #3 France, and #5 Australia. We’ve never seen Canada on a run like this. What’s even more amazing is that Canada has done it in large part without having to rely on Christine Sinclair. This is a team effort, and not a one-woman show. With that being said, it’s one thing to beat Germany once, it’ll be even more difficult to do it again. The Germans are the favourites in this one. Canada has some strong entries in track cycling, including Allison Beveridge in omnium, and Kate O’Brien in track sprint. They’ll need to perform earlier in the day to make the final. Philippe Gagne is Canada’s only entry in the 3 m springboard competition, but isn’t expected to contend for a medal. Canada’s best chance in track and field on Tuesday is in the men’s high jump, where Derek Drouin is a serious medal threat. The 26-year-old won bronze at London 2012 and gold at the World Championships and Pan Am Games last year. After starting the Olympics with a 3-0 record, Canada dropped their final two games against the United States and Spain. They finished third in their group and will play France, who also finished the round robin with a 3-2 record. The winner of this game will almost certainly lose to the United States in the next round, so this is effectively a ticket to the bronze medal game.